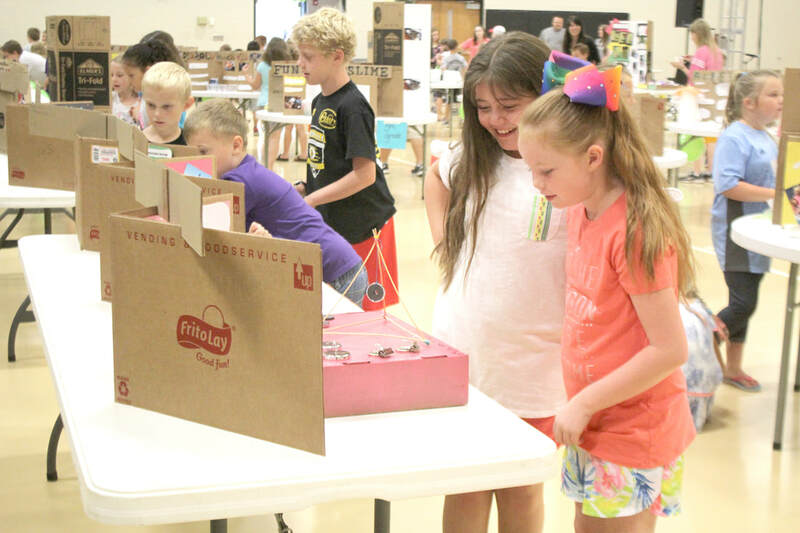 To finish out summer school this year, students celebrated with a science fair open to other students and parents who wanted to attend. The event was held in the FEMA Event Center. Pictured above, second graders Chloe Ledgerwood (left) and Aubrie Atkinson (right) check out one of the projects.